While it is a matter of public record that the Turnbull government blocked attempts to establish a royal commission into the financial services sector on multiple occasions, the question as to why the government has been so recalcitrant on this issue — especially when it expeditiously facilitated a similar inquiry into corruption within the union movement — is of more than academic interest. Aside from the usual motivations of political partisanship, it would appear the Coalition has, ironically, learned the lessons of history and sought to put them into practice. This attempt, unsuccessful though it may have been, nonetheless reveals something important about the impact of historical memory. In the present context, it is often — and suggestively — recalled that Malcolm Turnbull was once a merchant banker. However, what is less frequently recalled is that Turnbull was also once a lawyer — specifically, the lawyer for Australia's then richest individual, Kerry Packer. It was in this capacity that Turnbull called for the Costigan Royal Commission to be shut down. The Costigan commission, which began life investigating criminality within the Ship Painters and Dockers Union, ended up exposing criminality within corporate Australia's boardrooms. This exposure demonstrated not only that corruption was endemic within the corporate sector, but that this corruption often arose out of the links between criminally-minded business people and criminally-minded union officials. The historical lesson of the Costigan commission is this: corruption within the union movement does not occur in a vacuum — it occurs within the context of, and often in partnership with, corruption in the corporate sector. Tellingly, Turnbull's call for the Costigan inquiry to be shut down occurred, not while it was exposing the criminal activities of the SPDU, but once it started asking awkward questions about what was going on in the big end of town. 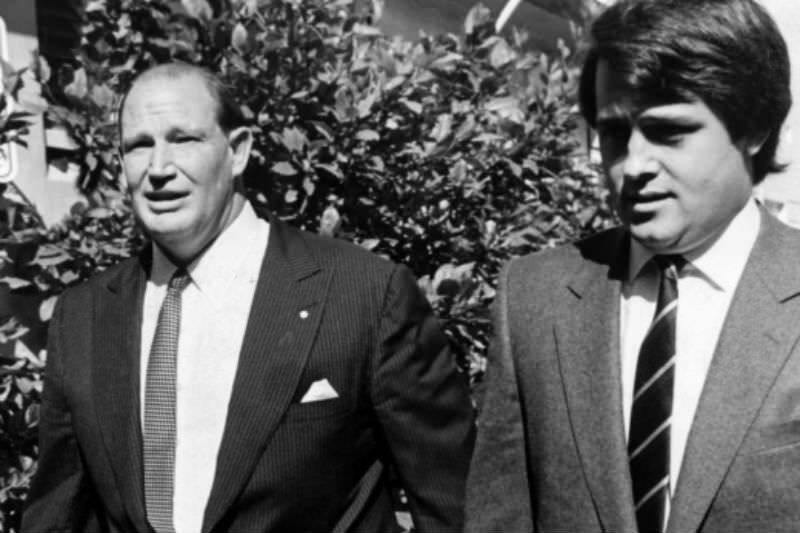 Turnbull was no doubt acting under instruction from his client; but the historical lesson of the inquiry would nonetheless have remained with him once he entered politics. "Inquiries into corruption and criminality cannot be the plaything of political partisanship, nor can the historical memory of past scandals be allowed to distort the manner in which future investigations are conducted." The narrow, union-focused terms of the Heydon Royal Commission can be put down to former prime minister Tony Abbott's ideological determination to destroy unions as a feature of Australia's economic landscape. But the fact that the resistance to a commission of inquiry into the finance industry has been so marked under Turnbull's watch as PM is undoubtedly a product of the historical memory shared by Turnbull and many of his Coalition colleagues: recalling what Costigan exposed about the corporate sector, the last thing they wanted was another royal commission doing just the same. There is no suggestion that Turnbull — or anyone else — is seeking to protect corrupt individuals. Rather, what the present situation demonstrates is the capacity for historical memory to facilitate partisan politics and thereby distort public policy. Australia is at present at a profound economic crossroad. Never has the union movement been weaker. Never has the influence of corporations been more pervasive. Never has the reality of work been more fragmented, insecure, and stressful. It is in this milieu that the Coalition has sought to persuade Australians that unions, collective bargaining, and even some employment entitlements are relics of an outmoded past that need to be dispensed with; and, conversely, that the future of our nation ought to be handed over to 'market forces'. However, the Turnbull government is also aware of the 'kickback', especially among educated and disenchanted millennials. They are aware that any exposure of malfeasance by the corporate sector will undermine their ideological argument and hand the initiative to their political opponents. Informed by its historical memory of the Costigan commission and its outcomes, the government's calling of the Heydon Inquiry, and subsequent reluctance to initiate a royal commission into the finance sector, is as much about protecting their ideological claims and political position as it is about anything else. It is in this context that the need for an independent anti-corruption commission arises. Inquiries into corruption and criminality cannot be the plaything of political partisanship, nor can the historical memory of past scandals be allowed to distort the manner in which future investigations are conducted. Far more than the rise and fall of governments depends on whether or not we learn the lessons of history and take the fight against corruption out of politicians' hands. Prior to being ordained as a Minister in the Uniting Church in 2011, Brendan Byrne spent 20 years working in the finance industry and as an official for blue and white collar trade unions. He is presently in congregational ministry in Melbourne, Australia. Recent articles by Brendan Byrne. The big four banks, and AMP, are very powerful and essential to keeping Australia a wealthy nation. So, of course, the government was reluctant to unsettle things by advocating for a royal commission. Obviously, this is counter to what government should stand for. Taking the fight against corruption out of politicians' hands though may not be the most rigorous way to achieve a just society. The Australian voter needs to engage more wholeheartedly with, and demand a higher standard of accountability from, the people we elect. Before we vote serious thought should be given to our priorities. Thank you Brendan for reminding us of the work of Costigan. The decision by the coalition to eradicate the union movement is certainly as you note an ideological belief to allow technical market determiners to dominate and to distribute wealth . The backflip by the coalition is now Centre stage and an indictment on their integrity and honesty. An excellent analysis that needs greater exposure. The weak apology from the political opponents of this necessary royal commission, that they 'got it wrong', avoids admitting that they were serving the interests of corporate leaders who had put profits above the interests of their vulnerable clients, to the point of illegal behaviour. There is something very wrong when boards of public companies allow a criminal culture to prevail; the very purpose of boards and good corporate governance is to ensure the highest standards of corporate governance. This Royal Commission must now be given an extension to ensure it is able to clean up the damage done and set in place a properly accountable regulatory environment with assurance of ethical standards and decent leadership. Brendan, A very telling indictment . As a Union , member for most of my fifty year working life, now retired, I can chart the path of the relative power of unions and business quite well. Business power increased, Union power decreased. I suspect many business owners fail to realise that their workers have living expenses to meet. Sadly we are seeing a ratio of something like 100:1 when the income of top executives are measured against the lowest paid .So much for the myth of an egalitarian society. The Royal Commission has not only shown up the corruption and illegal actions of the Banks but also indirectly, the corruption and illegality of the behaviour of the big end of town .While there are bad apples in the Union Movement, graphically shown by the prosecution of some Union Officials in recent years, The level of corruption at the top level of business is concerning and inherently dangerous. I am not in the least surprised that the Turnbull government opposed the Royal Commission on ideological grounds. Hopefully Australian society will severely punish the offenders the best way known; "the hip pocket nerve", by withdrawing their support for the big banks and moving to the smaller less corrupt entities that still have the customer at heart. Finally I partly disagree with Pam. The big Banks and AMP should never have been allowed to grow so big by taking over the smaller financial institutions .That was a political decision, as was the privatization of CBA. I do agree with Pam that we need to hold to account the politicians on both sides, who over the last three decades, have allowed this chain of events to happen. I am not holding my breath though! Anyone who thinks that the corporate corruption being exposed by the Royal Commision into the Financial Sector is confined to just those types of organisations is living in a fool's paradise. There are so many opportunities for companies in other sectors to behave corruptly that it is impossible to imagine that some have not done so. The mantra that companies are responsible only to the shareholders must inevitably lead to companies putting those interests well ahead of the interests of society and therefore manipulating circumstances to ensure shareholders are happy. Unions are also in the same situation, as Brendan points out above. It's hard to see either side of politics having the guts to tackle this, to revamp the taxation system to ensure everyone pays an equitable amount and to establish effective watchdogs to stamp out the behaviours we have been seeing exposed in the Royal Commision. I reckon there should be a prohibitive tax rate on bonuses and golden handshakes of say 90 percent. That would of course be met by simply paying a higher salary to the bank clerks and tellers elevated to the top of the money tree who exist only because of our money deposited in their vaults for safe keeping. The response would have to be to tax salaries above a particular level at the same high rate - it would establish a salary cap appropriate to the level of service. Strewth! I've almost become a communist! But at least it would be socially just. The Costigan Royal Commission put a spotlight on the corruption of the times. The rulers are always terrified of those spotlights which awaken people to the nastiness just below the surface. The Banking Royal Commission is doing a similar job so it may face strong opposition as well. Wow. Just wow. This piece should be shared everywhere. Nail on the proverbial, Brendan. A unique criticism that warrants widespread replication.